Plant domestication was a pivotal accomplishment in human history, which led to a reduction in genetic diversity of crop species; however, there was less research focus on how this reduced genetic diversity of crops in affecting rhizosphere microbial communities during crop domestication process. Here, we used high-throughput sequencing to explore the different effects of crops domestication on rhizosphere microbial community structure of rice (Oryza sativa L. and Oryza rufipogon Griff.) and soybean (Glycine max L. and Glycine soja Sieb. et Zucc.). Results indicated that rhizosphere fungal communities are more strongly influenced by crop domestication than bacterial communities. There was a stronger relationship for fungi and bacteria in the cultivated crops than in the wild relatives. Results also showed that the wild varieties had a higher abundance of beneficial symbionts and a lower abundance of pathogens comparing with the cultivated varieties. There was a similar tendency for both rice and soybean in rhizosphere microbial communities by comparing wild crops and their cultivated varieties. 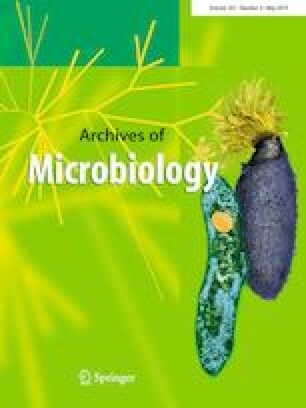 In conclusion, crop domestication had a stronger effect on the fungal communities than on the bacterial communities and had improved the microbial relationship in rhizosphere of cultivated crops. The online version of this article ( https://doi.org/10.1007/s00203-019-01638-8) contains supplementary material, which is available to authorized users. We are very grateful to Dr. Zhiping Song for the supply of the seeds of wild rice and Dr. Xinhou Zhang for the supply of the seeds of wild soybean. In addition, we also thank Eiko E Kuramae and Johannes A. Van Veen for the revision of this manuscript. This work was financially supported by the Science Foundation of Chinese Academy of Sciences (XDB15030103), the National Key Research and Development Program of China (2016YFC0501202), the Key Deployment Project of the Chinese Academy of Sciences (KFZD-SW-112), the National Natural Science Foundation of China (41571255), and Key Laboratory Foundation of Mollisols Agroecology (2016ZKHT-05), the Key Technology Research and Development Program of CAS during the “13th Five-Year Plan” (Y6H2043001); The Excellent Researcher Award Program from Jilin province of China (20180520052JH).